Hello chickas! I am not sure about the weather by you, but by me we are finally getting CHILLY and I LOVE IT! After a summer of scorching 108 degree weather I am welcoming this chill with open arms. I love to cuddle in my hubby's hoodies, sipping hot cocca, and enjoying cozy movie nights with my littles. 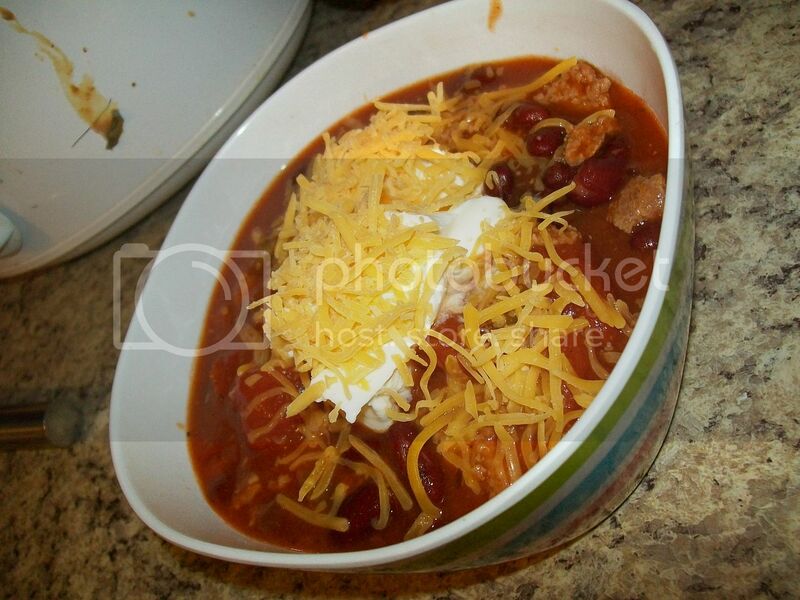 Another way I like to enjoy the chilly weather is by cooking yummy soups and chili for my family. 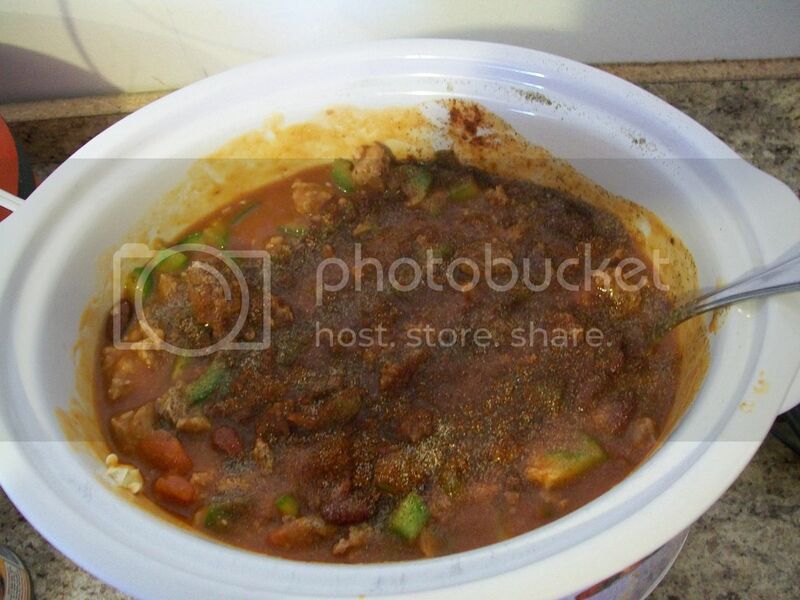 Recently I found a new recipe for chili. We tried it out last week and it was OH SO YUMMY! Two thumbs up all around. 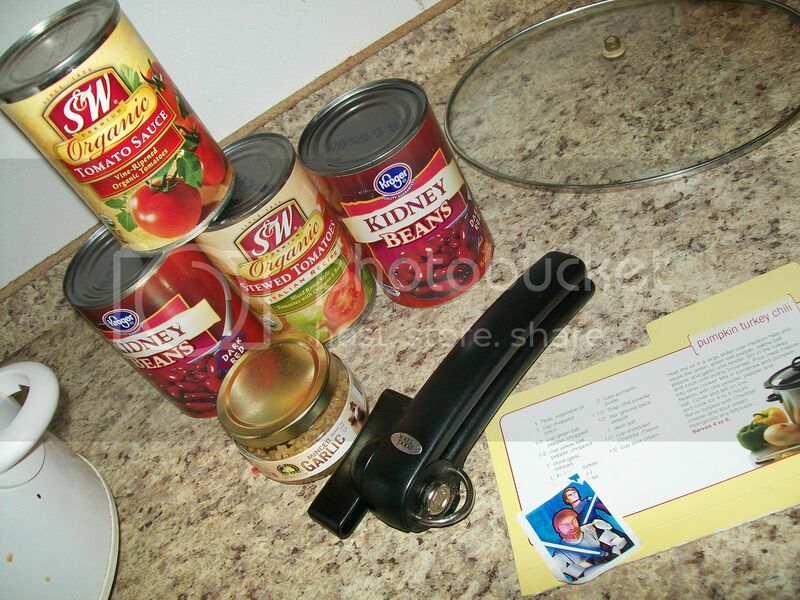 I found a recipe for Pumpkin chili in the Smith's add. Well I decided to build upon that recipe and make it my own. 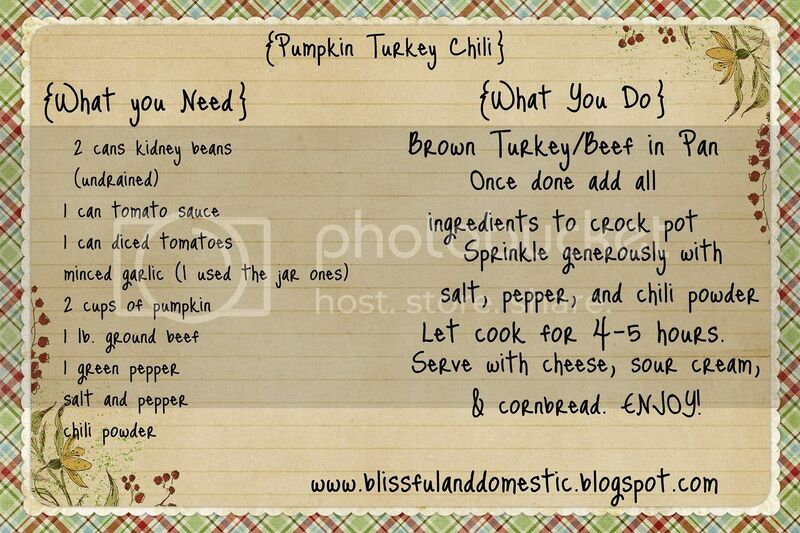 So let's get our crockpots out and lets make some Pumpkin Turkey Chili. Begin browning your turkey in a pan. 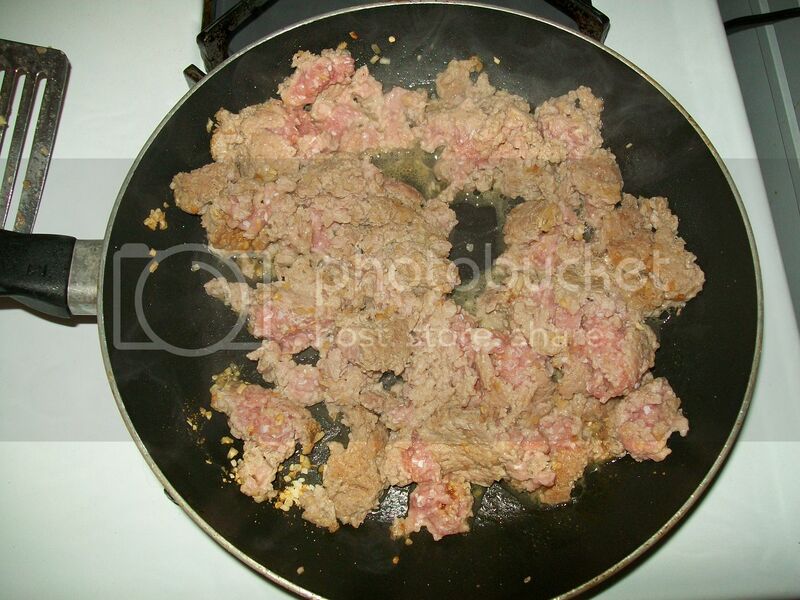 I like to add Lawry's and minced onions to my meat. 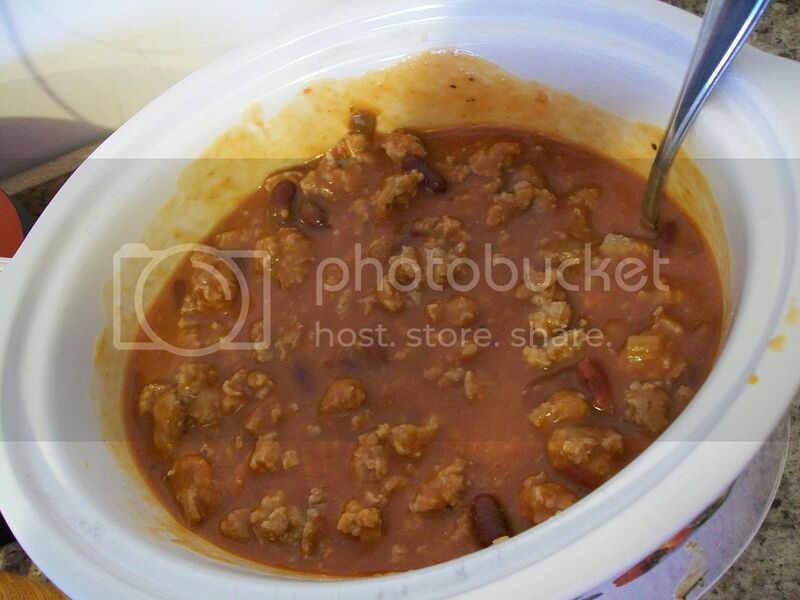 Once your meat is cooked, add all ingredients to the crock pot. 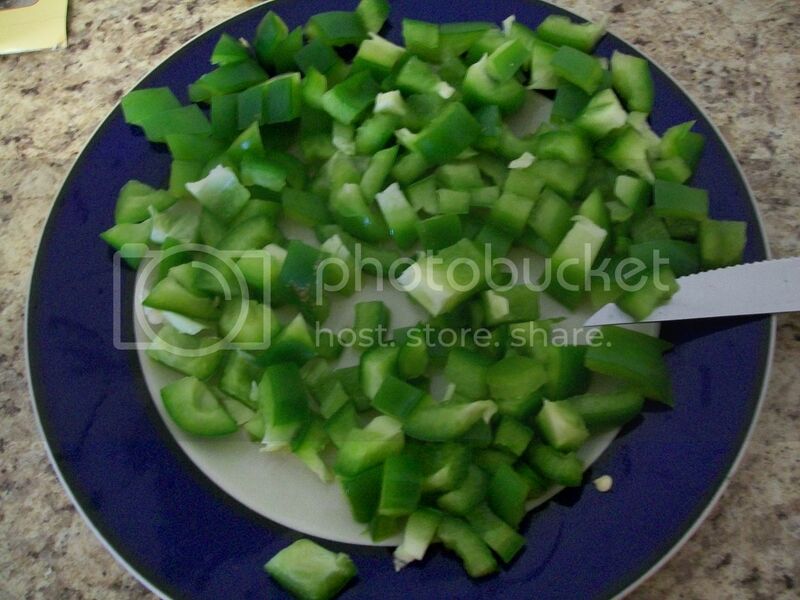 Don't forget to dice up your green peppers. and sprinkle generously with chili powder, pepper, and salt. We like our chili spicy! Let sit and "Get Happy" as my dad would put it for about 4 hours. Serve with some corn bread and top it with cheese and sour cream. I put the recipe on a fancy pants card for ya.